Star hero Nani is in a superb phase of his life currently. With back to back hits, he is the flavour of the season and all his films are awaited with huge anticipation. 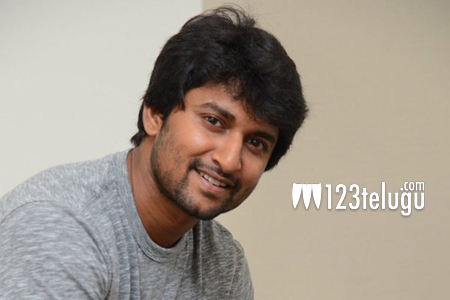 We caught up with Nani for an exclusive interview where he talks about his new film Majnu and future plans. Here is the transcript. How do you assess your recent stardom ? Frankly, I am yet to understand the seriousness of this stardom. Touch wood, things have been going quite fine and anyone like me would surely want it to continue. I also feel that my stardom will continue as long as I succeed as an actor. The day I cannot pull off a role and fail to achieve something through my film, I will feel that I am not a star anymore. Has stardom changed you ? Not at all ! I am the same person whom I was when I started out. In fact, things have become even better as there is a lot of work now. What else can an actor vouch for. Also, I do not do things purposely to attain more stardom. The day I start calculating, I will surely go down. Are you sure that you will score yet another hit with Majnu ? Who does not want a hit film under his belt? As of now, I am very tensed like always before the release of any of my films. Why is it that you always watch your films with the audience ? We make films for the audience and I feel that the exact response will come only through them. When we start a film, we have some belief and go with it. It is only when the film releases, one can understand if the audience is on the same page with us. For me, the public reaction is the most important. I usually find a theatre which is full and pick up a corner place so that I can get everyone’s reactions. For me, that is the most satisfying experience. Collections wise, your films have seen rapid growth. How do you feel ? I don’t get into the business point of view of films. As I said earlier, it is the audience appreciation which turns me on. The more people love my work the more successful I am. When success comes in this range, there is also a section who are ready to dethrone you. How do you manage it ? Frankly, I keep away from such things and do take things seriously. I have learnt from my mistakes and have come to a stage now where I can do films which interest me more. One should learn to stay away from such negativity and things will happen automatically. What kind of a star you want to be in the future ? The definition of a star has changed a lot in the last few decades. NTR was known for portraying some heavy duty roles and was considered as a huge star. Then Chiranjeevi garu became a star with his dances and fights. As time passed by, Mahesh Babu became a star for his looks and subtle acting style. I feel that Telugu film industry is going through a huge change and content will only be the biggest star in the coming days. So that means you do not believe in the No 1 race ? I do not belong to any league and don’t consider myself in the rat race. My films, performance are different and I want to remain as an actor who is known to carry off any kind of role. How does it feel when roles are being written for you now ? It feels awesome. When I used to write scripts, I had certain stars in mind. If the upcoming directors feel that I suit their films well, it is a huge privilege. You have developed a huge fan base in the overseas. How do you feel ? I am thankful to all of them who are appreciating me. But frankly, I do not plan anything special that I should cater my films to that particular section. In today’s age, films are doing supremely well in spite of the divide talk on the first day. Sensibilities have changed and the audience is very clear as to which film they want to see and why. What is that one genre which you would never attempt ? Thinks ! I will mostly avoid doing horror films. They do not challenge me much as an actor. The suspense in the film is revealed after the first day and this does not leave any excitement. So, in such cases how do you pick up stories which are already very less these days ? What attracted you towards Majnu ? When the director Virinchi narrated me the script, I loved the innocence and the way things were narrated in a light-hearted tone. Also, I felt that this is a film which everyone would relate with easily. You are working with mostly new heroines. Any particular reason for that ? We always have a shortage of heroines. I feel that more and more actors should be introduced with every film. Same is the case with Majnu too. Even though the heroines are quite new, they have done a wonderful job in the film. Finally, why should we watch Majnu ? The film will guarantee you very good entertainment which will last till the last minute. The freshness, innocence will leave you with a smile. With that, we wrapped up our interview with Nani and wished him the best of luck.